How do I buy a Franchise Training Institute Business Opportunity? Help Others Achieve Their Dreams while Reaching Yours Too! If you find franchises appealing, consider becoming a franchise broker. This rewarding profession gives you the opportunity to use your talents and change people's lives. Coach clients by helping them find the best business for them. You'll receive award-winning training, 100% commissions, extensive resources, ongoing support and you'll be able to set your own schedule and work from home. Find the freedom and career you've been waiting for as a franchise broker. 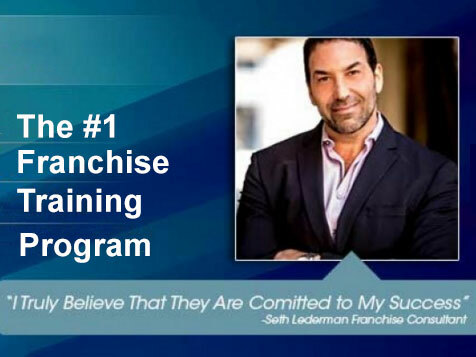 Open Franchise Training Institute in any of these available states: AK, AL, AR, AZ, CA, CO, CT, DC, DE, FL, GA, IA, ID, IL, IN, KS, KY, LA, MA, MD, ME, MI, MN, MO, MS, MT, NC, ND, NE, NH, NJ, NM, NV, NY, OH, OK, OR, PA, RI, SC, SD, TN, TX, UT, VA, VT, WA, WI, WV, WY. 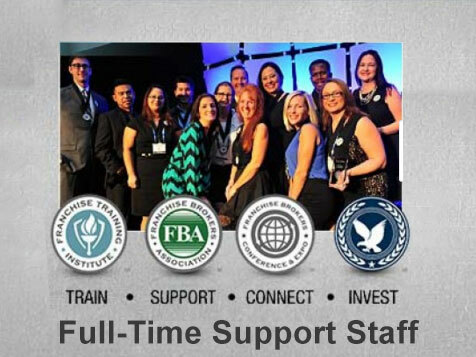 Start your own Franchise Consulting Business with the #1 Franchise Consultant Training program in the USA. The Franchise Training Institute is powered by the Franchise Brokers Association (FBA). The FBA serves an organization of Franchise Brokers who are highly talented and experienced at franchise consulting providing franchise brokers ongoing support of their business. When you’re ready to learn more, submit your contact information and one of our franchise consultant training experts will provide you with a no obligation discussion in order to determine if franchise consulting is right for you. Franchise Training Institute is not currently active in our directory, but here are some other recommended selections for you to explore.